Ever dream of comfort while driving? Well now you have some options. 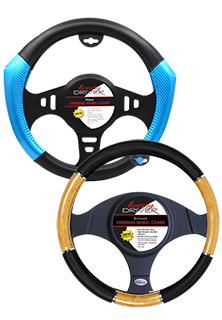 Check out our steering wheel covers. We have so many options. A few are Luxury Leather, Memory Grip, Sport, Wood Grip and more. These will definitely give you some comfort while driving. We have the lowest prices in the nation. GUARANTEED!